We Guarantee The Lowest Prices In The U.S.A. Choosing the right headstones or grave markers as a memorial for your loved ones can be overwhelming. We have simplified it for you on our site. You will find only our most popular models of cemetery head stones, grave markers and memorial plaques in granite, bronze and marble. At Monumentsinstone, we can truly personalize your loved-one’s memorial with any design you may have in mind Our artisans can even custom build mausoleums. They are truly craftsmen with stone. We are here to help you every step of the way in choosing the perfect tribute for your loved-one. It is our mission to come along side you in this time of need. We promise to provide attentive, caring service at a fair price. Monumentsinstone ships nationwide. Please call one of our artisans now. 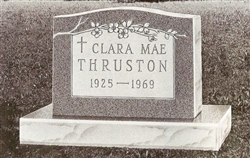 Please feel free to email or call us with any questions regarding our granite signs, bronze plaques, fairway & park signage, memorial benches, tombstones, headstone, bronze grave marker, granite grave markers, crematory items, cemetery monuments, headstones mausoleums, statues and custom cut stone work in granite, bronze, marble and cobblestone. Send us your details and designs. Our aritisans will quickly offer you a "wholesale direct" price. We have been serving the Atlanta area since the turn of the century. Now, we are serving the entire USA! 1. Cemetery Regulations - Your rights as a consumer "Remember your rights. If the cemetery pressures you into buying a head stone from their expensive stock, you can take action with your local, government consumer agency." 2. Personal Family Record Workbook - Plan ahead "We have been there. Such a time is usually too traumatic to make wise decisions. And, the funeral industry knows this. They profit in the fact that in times of grief, there is just no time or energy to make clear, economical judgements." 3. About Our Granite - "The granite we use for our headstones, monuments and grave markers comes from some of the finest quarries in the world. Mostly from renown, Elberton, Georgia, the supplier for the stone used for many of the famous monuments in Washington, DC." 4. 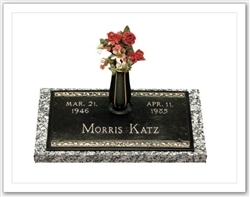 About Our Bronze Grave Markers - "Our bronze grave marker is a flat memorial set on a granite base. The design, name and dates are all cast onto the plaque as a relief sculpture"
6. MonumentsInStone Adds A Portfolio Page - "Please visit our new portfolio page to see some of the specialty work we’ve just finished. We can custom design mausoleums, memorial benches, business signs, grave markers in an array of languages, park signage and more." 7. Custom Designed Business Signage - Golf and Park Signage "Your company’s name, carved in stone, is a testimony of your resilience and reliability. Our sister company has been designing and crafting quality stone signs, statues and monuments for over one hundred years. We have worked with numerous universities, banks, corporations and parks in the state of Georgia. With the freedom of the Internet, we can now provide this same craftsmanship to the entire country. We can work in granite, bronze, marble and more. We also have done work with parks, country clubs and golf courses. Please do not hesitate to contact one of our artisans about creating custom markers and signs for your fairway." 8. MonumentsInStone Custom Builds Mausoleums - "Tell your life story in stone! An extraordinary life deserves a worthy tribute. Let our architects custom design a private estate mausoleum that will forever preserve your name and accomplishments. Mausoleums are not only reserved for the wealthy. We offer many preconstructed buildings that can be further personalized by our artists. "